Patrick reminds Britt that she’s supposed to be on bed rest, and not crashing his party. He also points out she&apos;s making Emma uncomfortable. Britt wants to celebrate Independence Day, and has no family except the baby. Patrick explains to Emma that Britt is alone, and they should share their day with her. Milo tells Sonny he can’t work for him anymore, because he’s not built for the mob life like Shawn. Sonny is disappointed, but not angry. He reminds Milo he needs to be loyal and discreet. Sonny asks what Shawn wanted to say, but Shawn apologizes for the bad hit. He’s declares he&apos;s in Sonny’s corner 100%, and the job is in his blood. Liz, AJ and Aiden are celebrating the holiday. Liz is glad she’s giving AJ a second chance, because she feels he’s worth it. AJ is happy to be spending time with Aiden, because he didn’t get to do the same with Michael when he was younger. AJ feels helpless he can’t help Michael with his problems. Liz is grateful AJ is here with Aiden. She understands Lucky’s need to stay away, and then apologizes for bringing up Nikolas. AJ has accepted Nik as a part of her past. Liz tells him she asked Nik to stay away. Alexis tells Nikolas that Shawn chose her, and is planning on quitting. Nik is happy for her, and then explains Liz is moving on with AJ. He realizes he needs to move on as well. 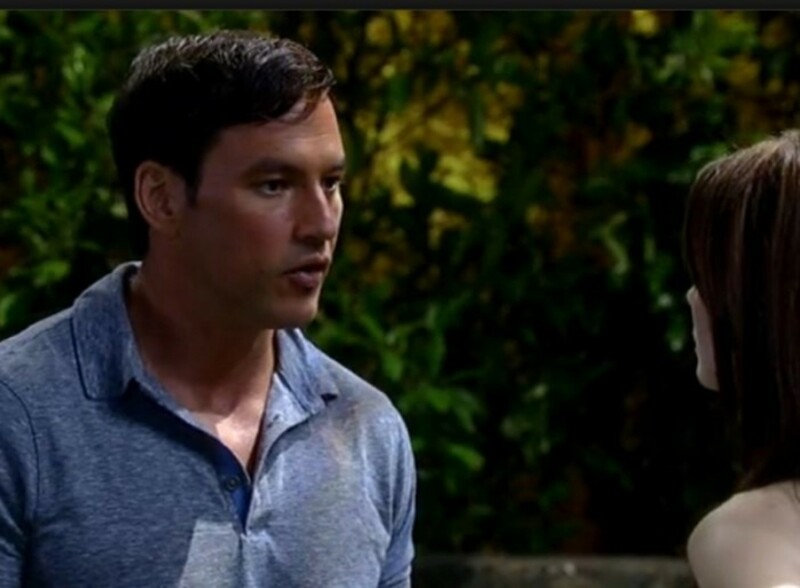 Alexis assures Nik he’ll find the right woman. Michael is shocked to find Kiki tied to the bed, and starts to call the police. However, she tells him it’s all fun and games with Morgan. Morgan arrives, and is angry to find Michael all over Kiki. He wants him to leave. Michael explains he’s there to ask Kiki to get tested for Danny. Kiki agrees to have the test. After Michael leaves, Morgan wants to get romantic, but Kiki is not in the mood. Morgan does his best to put her back in the mood. Sabrina asks Emma to show Britt her doll to include her in the festivities. Britt takes the doll, but when she feels its wetness she throws it away. The doll lands on the barbecue grill, and catches on fire. Emma cries over the doll being ruined. Sabrina and Patrick bury the doll. Britt apologizes, and promises she won’t let anything happen to their baby and leaves. 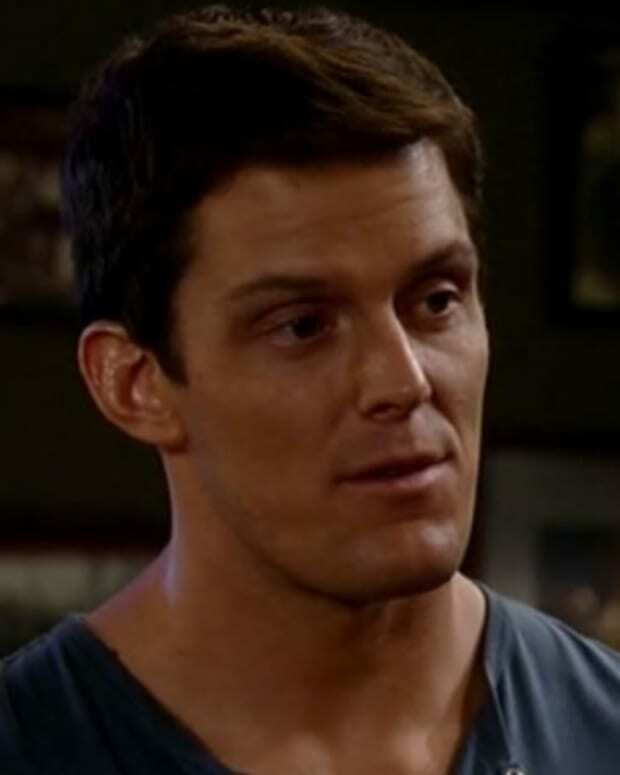 Shawn tells Alexis he didn’t quit, and explains what happened with Milo helped him realize he loves working for Sonny. Shawn says it’s about protection and security. He points out it also gives him something to do. Unfortunately, Alexis can’t live with that. Sonny tells Olivia that Milo quit, and he&apos;s just one more in a line of losses. Olivia reassures him she’s not going anywhere. The two reminisce about holidays from their past. They watch the fireworks, and share a kiss. Max and Milo make up, and watch the fireworks together. Nikolas and Spencer spot AJ and Liz, but Nik doesn’t disturb them. He runs into a crying Britt, and offers to watch the fireworks with her.